The Catalyst Festival is all about gathering, loving God and mission — empowering us to make a difference in our workplaces, communities and nations. We believe God has called us to be a blessing in every part of our society, using our skills and passions for the common good. And we also believe God has called us to take the good news of Jesus Christ to the UK and the nations of the world. So every two years our network of churches gather together to worship Jesus, hear from the Bible, enjoy one another’s gifts, and get caught up in the bigger picture of what God’s doing. Take a look at all the different tabs just below this section for all the information about the Festival – if there’s anything you’re still not sure about, just drop us an email on bookings@catalystnetwork.org and we’ll be happy to help out! To watch the promo video click here. To have a look at what a typical festival week will look like, see the schedule below. Speakers are set to include Simon Holley, Heidi Baker and Glen Scrivener, and this year we will also be joined by resident artist Ally Gordon! Zones are the heart of the Catalyst Festival, equipping us for mission in every area of life. A mixture of talks, discussion and hands-on activities, there’s something to get involved with no matter what you’re called to or interested in. Our zones are usually open during the afternoons, so make sure you get some time to pop along. You can get plugged into a zone series on a particular theme or try something different everyday. Zones will include Sputnik, Healing, Global, Workplace, Politics, ‘Go!’, Think, CRY (Care and Relief for the Young), Prophetic, Social Action, Quiet, and Count Everyone In (Sunday), so there’s bound to be something for everyone! Fringe by name but not by nature! This is the home of arts, entertainment and family fun at the Festival. Whether you’re looking for art, live music, films, sport or just somewhere to grab a coffee, there’s something for everyone. Our Fringe entertainment usually runs after our evening sessions, but more information for 2018 will be released soon. And returning for 2018 is The Barn — an indoor space full of games and activities for kids and families. Our kids groups are about taking the kids as deep into God as we can, whilst having as much fun you can possibly imagine. Kids and Youth are welcome to attend the adult meeting’s, however we do have dedicated groups just for them! These meet during our morning meetings; only the Ignite group (school yrs 3-6) and youth work will continue during our evening meetings. A warm, fun place for parents to take their children during the morning adult meetings, with toys, crafts and bible stories for young children. Open from 5:30am! A great group for children aged 3, full of play activities, stories and crafts. This group is a brilliant place for your child to encounter Jesus and have fun. They will not want to leave. Having fun and encountering God together — not forgetting the usual games and mess! Think BIG, crazy and so much fun with passionate worship and intimate times with God. Our team specifically designed to integrate children with additional or special needs into their age group. This includes access to a sensory space when required. Youth at the Catalyst Festival has two really simple aims — to help us focus on Jesus, and to equip us to tell others about him. Our main meetings are full of powerful worship and teaching from the Bible designed to meet you where you’re at, helping you live out your faith in your school or college. And there’s loads of other stuff happening outside the main meetings as well — from sports to video games to live music. I’ve decided to camp! What do I need to know? Your ticket includes the price of camping together with other people from your church in a tent or caravan. When booking you will be asked how much space you require based on the size of your tent or caravan – please be honest! Selecting a large pitch size if you don’t need it will disadvantage other groups on site who could use the space. Check your tent before you arrive to make sure you’ve got all your poles and pegs and don’t forget to bring a mallet. As much we hope it doesn’t, it just might rain, so bring some waterproof bags to store your clothes and sleeping bags. Good footwear is key for camping. Flip flops are great for walking around site and for visits to the loo/showers. If the weather is bad, wellie boots are always helpful to have but if not a good pair of walking boots should work. We’ve teamed up with IBEX camping, who will be our onsite camp shop for all those forgotten items. Offering a selection of camping items as well as tent hire and ready pitched tents! Check out the Catalyst page on their website for more information and offers. It may not be everyone’s cup of tea, but camping together can be a unique and valuable way of building community within your churches. We really want you to get the most out of the experience as possible so we thought it may be helpful to compile a list of essential items for you to pack, to help you get the most of out your camping time. Cooking utensils, matches, torches, batteries, sun cream, insect spray, sleeping equipment, cooking pots, first aid kit, wet wipes, foil, umbrella, sunglasses and marshmallows, mallet! I’m bringing a caravan, what do I need to know? Cars cannot be parked beside your caravan or anywhere else in the camping areas – dedicated car parks are provided, and cars must be moved there by Saturday evening. If you’re hiring a caravan it can be delivered any time after 10am on Saturday morning. Electrical hook-ups are available through a contractor – further information will be given to church coordinators nearer the time. Camping’s not for me. What should I do? If you’re not the camping type then that’s no reason to miss out on the Festival! There are lots of great options off-site. Just check the right option when you book in so we don’t allocate you a camping space. If you’re fortunate to live close enough, travelling in and out each day is always an option as well. 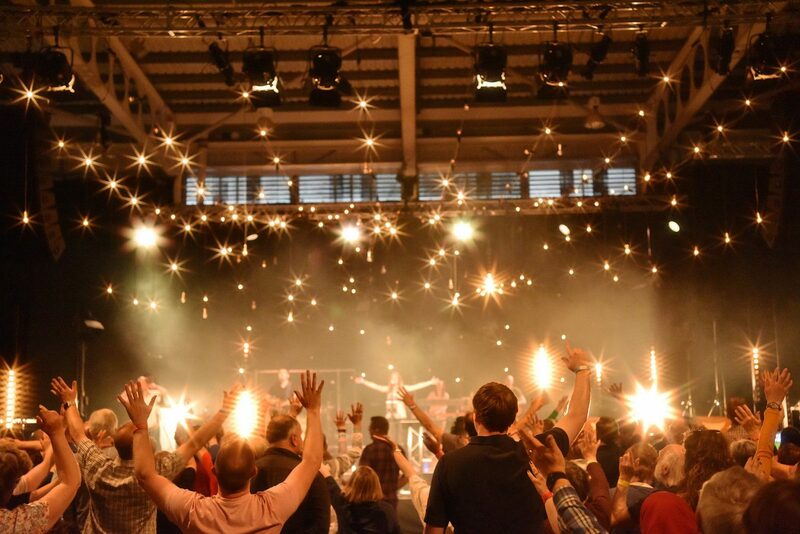 How does coming to the Catalyst Festival for half-price or free, and blessing hundreds of people at the same time sound? We rely on an army of willing volunteers to make the event happen. On top of the discount on your ticket price, it’s loads of fun and you’ll get to work in a team with loads of great people from across Catalyst. A great opportunity to meet people and be apart of the Festival. Step 1 - Full-time or part-time? You’ll be on duty for most of the day (8 hours) each day in whatever area you choose. You’ll be committed to that area for the most of a day and you’ll probably miss both of the main meetings. BUT if you serve in one of these roles you’ll get to come to the event for free! You’ll be on duty for part of the day (4 hours), so you’ll hopefully be able to make some of the main meetings as well have time to explore other things happening around the site as well. These roles give you a 50% discount on the normal ticket price. We need lots of helpers to make our kids work fun and safe for all of the children involved. Whether or not you’ve done kids work before, we’d love you hear from you if you’re interested in serving on one of our kids teams. You’ll need a Disclosure and Barring Service (DBS) Check from no later than 28 May 2015 to serve on one of our kids teams. If you don’t have a current DBS Check then your church should be able to provide you with one. Having thousands of people on the same site means we need a team on hand in case things go wrong. The maintenance team are the unsung heroes of the event – you’ll need to be practical and willing to get your hands dirty, but when the toilets have stopped flooding we’ll all be extremely grateful! Neighbourhood Hosts are the friendly faces who greet you when you arrive on site, making sure you’re able to set up and help you throughout the event. We’re looking for people to join the teams for each of our three Neighbourhoods. Can you smile? Yes? You’re qualified to join the stewarding team! Our stewards man the doors at the different venues, check wristbands and generally make sure everyone’s having a fun and safe time. You’ll be the friendly face that welcomes people to meetings and a helpful friend to direct people to the various zones and venues. Enjoy playing games, know how to use a nerf gun, or can just be a friendly face? Then the Barn is the place for you! It’s a part-time role, and you’d need to be around each afternoon to help out and to help with set down after the last afternoon. Once again there’ll be a servers’ canteen on site, providing a warm, comfortable place to hang out and food throughout the day. Tickets are available through the booking system. Servers camp with their church groups — a great way to spend time with people from your church while serving the Festival. Once you’ve booked, we’ll need an elder to approve your ticket (they’ll receive information about how to do this) and if you’re serving with children you’ll need to complete your DBS details. A couple of weeks before the event, we’ll send you another email with details of when you need to arrive and your team briefing. Got questions? Need some more information? Contact the serving team on servers@catalystnetwork.org — we’d love to hear from you. Prices increase incrementally as the event approaches; each price break takes effect at midnight on the date shown. Day Tickets are now live – please note that due to spacing limitations, tickets for Sunday can only be purchased online in advance, and not onsite. With this in mind, we have reduced prices for the Sunday and added a “Family Ticket” option. See the booking site for all the details. Available to those who are in receipt of a state pension, or full-time carers. Available to anyone coming from outside mainland Great Britain. Ages are based on the academic year, i.e. age on 31 August 2018. The age ranges given are inclusive. Fees are available at the advertised rate until 23:59 GMT on the date shown. Refunds in the event of cancellation are subject to a £15 administration fee. Students with exam dates that clash with the event can apply for a full or partial refund and won’t incur the administration fee. No refunds are available for bookings cancelled after 1 March 2018. If you make or amend a booking after 3 May 2018 we can’t guarantee you will be able to camp with your church group. What is the accessibility like at the Festival? We want to make the Catalyst Festival as accessible as possible for everyone. Here are a few ways we can help. Amenities — Accessible toilets will be located in the amenity blocks. Some accessible shower units will also be available. Large print materials — Large print copies of this guide and other materials will be available on request from the Information Point. Signing — BSL interpretation will be available in the main meetings, and other meetings by request. A designated signing area can be found at the front of the main venue, and induction loops will be installed there as well. Wheelchairs — Wheelchair users are welcome to sit anywhere within venues, as long as one side of the wheelchair is next to an aisle. Are we permitted to drink alcohol on site? Alcohol is permitted in camping areas, but not any of the indoor venues. Please drink responsibly on site. What time can I arrive from, and when do we need to leave by? You can arrive on site any time from 10.00am on Saturday 26 May. Festivalgoers need to have left Stoneleigh Park by 10am on Wednesday 30 May. Unfortunately not. If you plan well, you won’t need to bring much cash, other than for food vendors on site. Will there be a First Aid point on site? As much as hope no-one hurts themselves, we are of course prepared for it. There will be a First Aid point near the adult meeting venue staffed by a contracted medical company 24 hours a day. You can contact the First Aid team by calling the emergency number you will be provided with when you arrive, or asking anyone with a radio. If we're camping, will it be noisy when we go to sleep? All activities will finish by 11pm. We encourage all delegates to be back on their campsite and quiet by 11:30pm, and silent by midnight. You’re more than welcome to continue your conversations, but please be considerate of those sleeping around you. Don’t be the neighbour that has the noisey complaints made about them! I've seen some excellent photos and videos from previous festivals, will I be in them this year? We love to document the Festival by having photographers and videographers capturing the highlights. You may be photographed or filmed for use in promoting Catalyst or the Catalyst Festival — on our websites, social media accounts, on video or in printed materials. If you don’t wish to take part please let the photographer know. You can also view previous footage on the main Festival page on the website. Is their security on site? Stoneleigh Park is a working site, and there will be members of the public around throughout the event. Your own security and that of your belongings is your own responsibility. Wristbands will be checked on entrance to Festival venues. There will be a security team on site 24 hours a day. Bread and milk will be available for purchase each day from the Farm Shop onsite. There are also supermarkets in Kenilworth and Coventry. There will also be a Camping Shop on site provided by IBEX Camping. It will offer camping equipment and basic essentials — ideal if something breaks or you’ve forgotten something important! What if I don't own a tent? We have partnered with IBEX Camping to offer tent hire for this year’s Festival. Visit their website for more information — they’ll also be on-site during the event offering essential camping supplies from 7.30am until late. Will there be showering facilities? Your nearest amenity blocks will be marked on the site map. If there are any problems with the amenity block in your Neighbourhood please let your Neighbourhood Host know. Please try to take short showers — those in the queue behind you will appreciate it! Is Wi-Fi available on site whilst camping? Are we allowed to bring our dogs on site? Sadly no dogs will be allowed on site unless they are guide dogs or guide dogs in training. Can we bring our bikes/skateboards/roller blades? To ensure Catalyst Festival is as safe as possible no cycling, skateboarding or roller-blading is allowed on-site. Please be aware that not all areas of Stoneleigh Park are safe, and there are rivers and steep banks surrounding the site. We also strongly discourage under-18s from leaving the site, as there is no safe pedestrian access. Catch up on some of the highlights from previous festivals with videos, audio and photos.